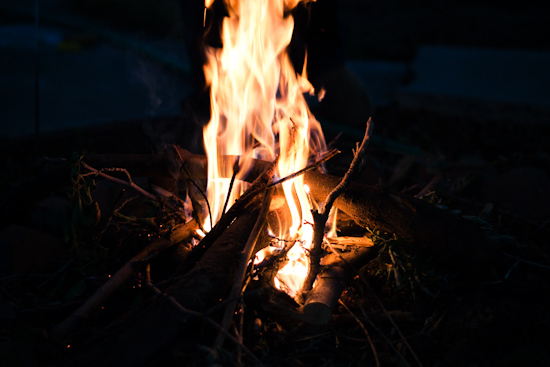 For me, a summer is never complete without a bon-fire and plenty of smores! My husband always gives me a hard time because I can't just eat 1 smore (or two for that matter). Actually, I tend to loose count whenever he asks but I'm guessing by the end of the night I eat around 5...or so. I love getting creative with them too. Last weekend we made smores with Reeses peanut butter cups, but its fun to experiment with all varieties of chocolate candy bars! For a while, I would buy Chips Ahoy cookies instead of graham crackers and chocolate. 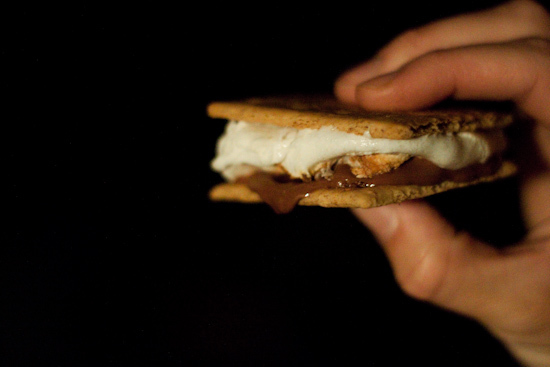 Its a lot more convenient and a little less messy, but nothing compares to the original smore combination. There is one thing that bothers my just a little when it comes to traditional smores...topping the graham with a cold piece of chocolate. To bypass this unfortunate occurrence, I like to pre-set up my chocolate next to the fire so its nice and melty by the time my marshmallows are ready. 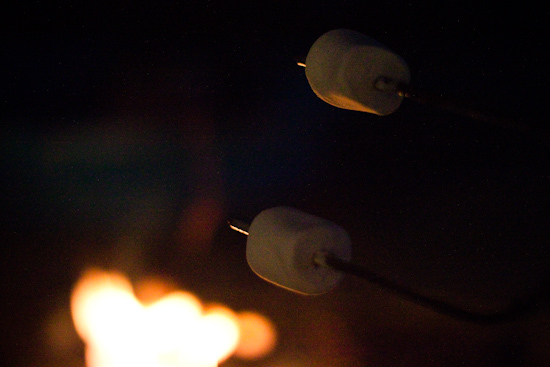 Do you prefer a "charred" mallow or one that is "golden brown" ??? Mmm I bet it's good with Reese's!! 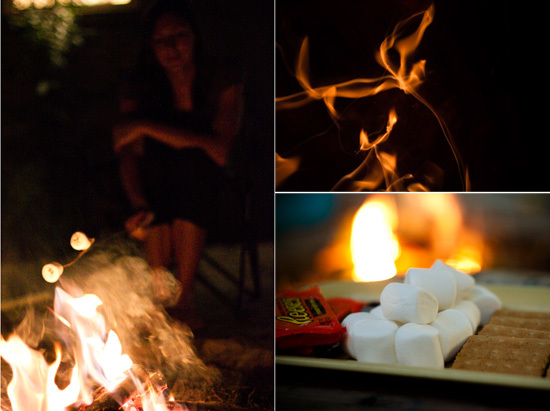 I love Smores. ummmm...did i just see peanut butter cups!??!? oh.wow! Aww how fun!! I still need to do this before the summer is over! Definitely golden brown! 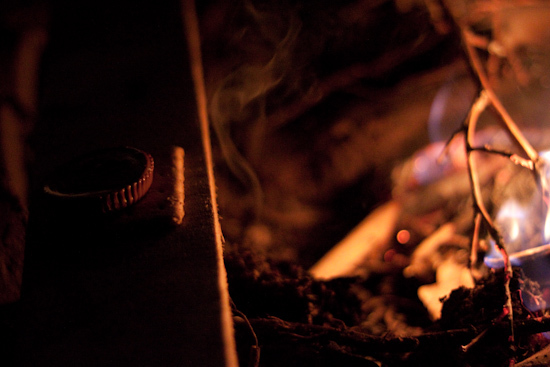 I miss smores, I don't think I've had them in years - tragedy. Golden...Defo Golden!!!! Living in England- i gotta introduce the in-laws to S'mores!!! And it has to be brown and crispy on the outside and soft inside. Love the reese's idea. Im gonna try it out for sure. Also, I love s'mores so much that I make them in the microwave (helps out with that cold chocolate problem, too). I'm a little ashamed to admit it but it's such a quick sweet treat that I can't help myself. 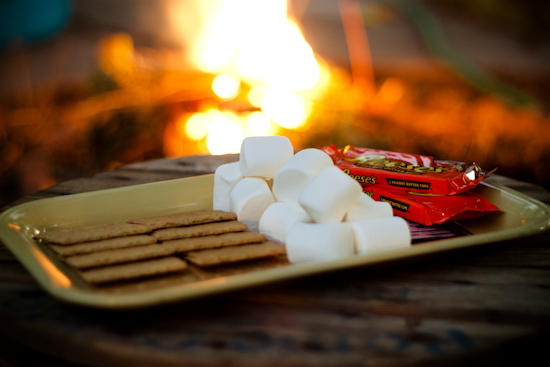 Ahh I love s'mores, and every s'mores inspired dessert! I definitely like a golden brown marshmallow. I will stand there forever barely holding it over the flame to get the perfect shade of golden brown! I'm British and we don't have smores... I know what they are through TV and my Canadian husband! But never had one. I now really really want one! They look SO good! As a kid, brunt, peeling off each layer and re-toasting. Now, slow roasted, golden brown. This way the entire mallow gets soft. I use small peanut butter cups and cram them inside the mallow, so the choc. gets soft and warm. The best!! LOL- Oh my Fatherin law absolutely LOVES Chocolate- he's just not ALLOWED to have it when my MIL is around....I'm sure HE will enjoy the smores with me- even if we DO have to eat them around the corner out of sight. LOL!!! Yummy pics. I like them done over a fire definitely. Like mine more charred though, gets that chocolate melting all over your mouth!